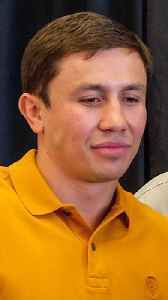 Gennady Gennadyevich Golovkin, often known by his nickname "GGG" or "Triple G", is a Kazakhstani professional boxer. He is a former unified middleweight world champion, having held the WBA (Super), WBC, IBF, and IBO titles between 2010 and 2018. As of October 2018, he is ranked as the world's second best active middleweight by The Ring magazine, the Transnational Boxing Rankings Board (TBRB), and BoxRec. He is also ranked as the world's sixth best active boxer, pound for pound, by The Ring; third by BoxRec; and seventh by the TBRB.